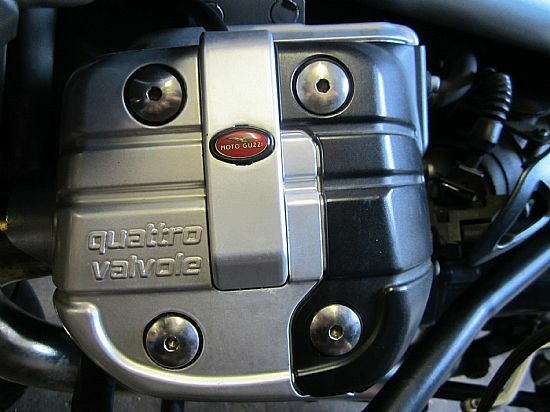 Lincoln Eagle Engineering Manufacture a range of enhanced parts for 8 Valve CARC Moto Guzzis. All pices include P&P within the UK. For shipping elsewhere please email for details. 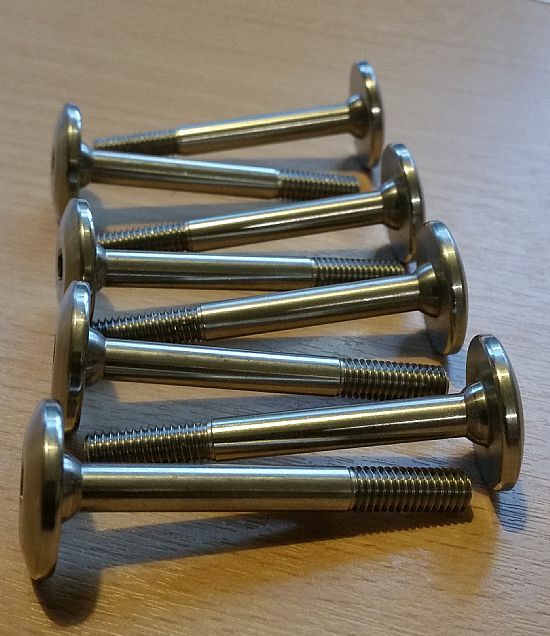 CNC machined stainless steel direct replacements for inferior OE bolts. 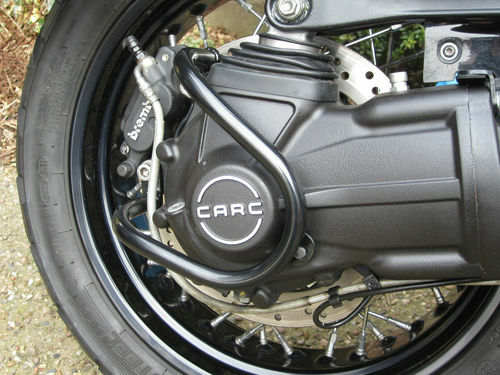 After market drive box protector for all CARC Moto Guzzi's. 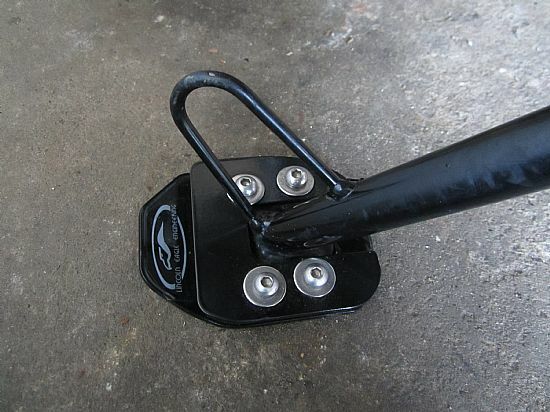 Fitted with extra L bracket with rubber buffer designed to increase impact resistance. Powder coated in black finish. Comes complete with replacement mounting bolts. The Genuine Moto Guzzi CARC protector has a list price of £108.00 plus p&p. 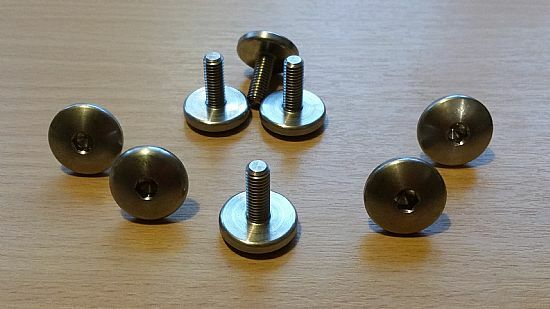 Stainless steel rockercover bolts CNC machined. 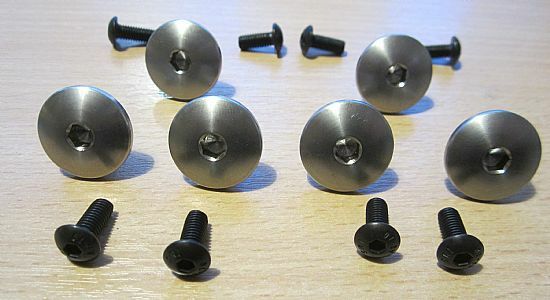 Set includes six large bolts and eight black finish M5 stainless steel button heads. 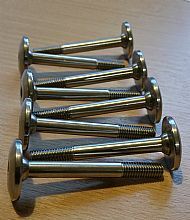 Direct replacements for inferior OE bolts. 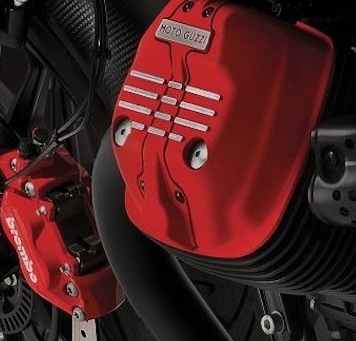 After market drive box protector for all CARC Moto Guzzi's. 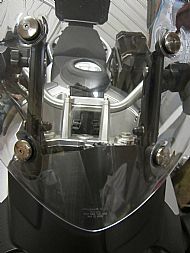 Fitted with extra L bracket with rubber buffer designed to increase impact resistance. Powder coated in silver finish. Comes complete with replacement mounting bolts. 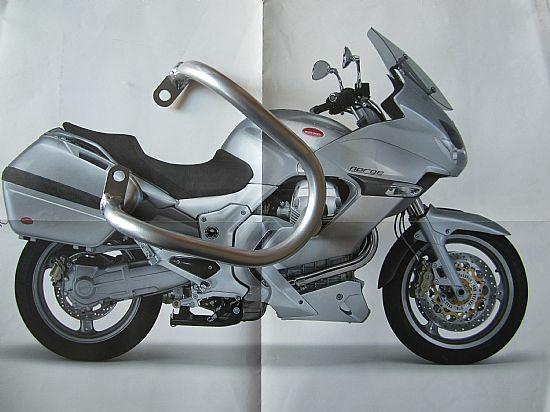 The Genuine Moto Guzzi CARC protector has a list price of £108.00 plus p&p and is not available in silver. Replacement for chrome plastic originals. Stainless Steel, CNC turned, complete with countersunk fixing screws. No more worries on soft ground just fit and forget. This Side Stand Shoe doubles the size of the stand and the curved edge means it doesn't dig in when being deployed. Made from mild steel plate with stainless steel bolts and powder coated finish.